Investing Long Term? Don’t Overlook the Inflation Factor! A penny saved is a penny earned, right? Not necessarily. Thanks to inflation, over time that penny could be worth less than when it was first dropped into the piggy bank. That’s why if you’re investing — especially for major goals years away, such as retirement — you can’t afford to ignore the corrosive effect rising prices can have on the value of your assets. Just what is inflation, this ravenous beast that eats away at the value of every dollar you earn? It is essentially the increase in the price of any good or service. The most commonly referenced measure of that increase is the Consumer Price Index (CPI), which is based on a monthly survey by the U.S. Bureau of Labor Statistics. The CPI compares current and past prices of a sample “market basket” of goods from a variety of categories including housing, food, transportation, and apparel. The CPI does have shortcomings, according to economists — it does not take taxes into account or consider that as the price of one product rises, consumers may react by purchasing a cheaper substitute (name brand vs. generic, for example). Nonetheless, it is widely considered a useful way to measure prices over time. Inflation has been a very consistent fact of life in the U.S. economy. Dating back to 1945, the purchasing power of the dollar has declined in value every year but two — 1949 and 1954. Still, inflation rates were generally considered moderate until the 1970s. The average annual rate from 1900 to 1970 was approximately 2.5%. From 1970 to 1990, however, the average rate increased to around 6%, hitting a high of 13.3% in 1979.1 Recently, rates have been closer to the 1% to 3% range; the inflation rate was only 0.73% in 2015. In today’s economy, it’s easy to overlook inflation when preparing for your financial future. An inflation rate of 4% might not seem to be worth a second thought — until you consider the impact it can have on the purchasing power of your money over the long term. For example, in just 20 years, 4% inflation annually would drive the value of a dollar down to $0.44. Based on an average annual inflation rate of 4%. Or look at it another way: If the price of a $1,000 refrigerator rises by 4% over 20 years, it will more than double to almost $2,200. A larger-ticket item, such as a $23,000 automobile, would soar to more than $50,000 given the same inflation rate and time period. Inflation also works against your investments. When you calculate the return on an investment, you’ll need to consider not just the interest rate you receive but also the real rate of return, which is determined by figuring in the effects of inflation. Your financial advisor can help you calculate your real rate of return. Clearly, if you plan to achieve long-term financial goals, from college savings for your children to your own retirement, you’ll need to create a portfolio of investments that will provide sufficient returns after factoring in the rate of inflation. Bulletproofing your portfolio against the threat of inflation might begin with a review of the investments most likely to provide returns that outpace inflation. Over the long run — 10, 20, 30 years, or more — stocks may provide the best potential for returns that exceed inflation. While past performance is no guarantee of future results, stocks have historically provided higher returns than other asset classes. There are many ways to include stocks in your long-term plan in whatever proportion you decide is appropriate. You and your professional financial planner could create a diversified portfolio of shares from companies you select.3 Another option is a stock mutual fund, which offers the benefit of professional management. Stock mutual funds have demonstrated the same long-term growth potential as individual stocks. 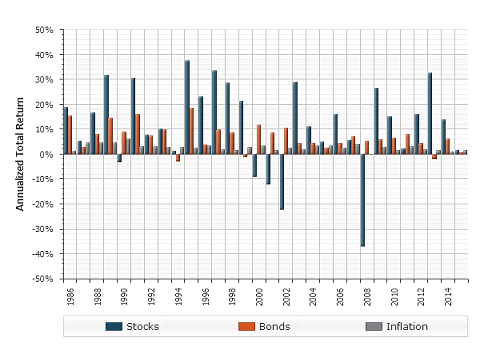 This chart tracks inflation versus U.S. stocks and U.S. bonds for the period from January 1, 1986, through December 31, 2016. Stocks are represented by the S&P 500 index. Bonds are represented by the Barclays Aggregate index. 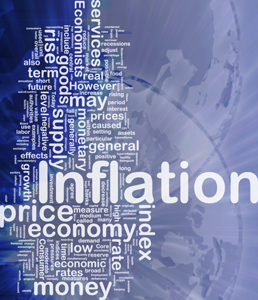 Inflation is represented by the change in the Consumer Price Index. Keep in mind that stocks do involve greater risk of short-term fluctuations than other asset classes. Unlike a bond, which guarantees a fixed return if you hold it until maturity, a stock can rise or fall in value based on daily events in the stock market, trends in the economy, or problems at the issuing company. But if you have a long investment time frame and are willing to hold your ground during short-term ups and downs, you may find that stocks offer the best chance to beat inflation. The key is to consider your time frame, your anticipated income needs, and how much volatility you are willing to accept, and then construct a portfolio with the mix of stocks and other investments with which you are comfortable. For instance, if you have just embarked on your career and have 30 or 40 years until you plan to retire, a mix of 70% stocks and 30% bonds might be suitable.4 But even if you are approaching retirement, you may still need to maintain some growth-oriented investments as a hedge against inflation. After all, your retirement assets may need to last for 30 years or more, and inflation will continue to work against you throughout. Whatever your investor profile — from first-time investor to experienced retiree — you need to keep inflation in your sights. Stocks may be your best weapon, and there are many ways to include them. Consult your financial planner to discuss your specific needs and options. 1Source: U.S. Bureau of Labor Statistics. 2Source: Wealth Management Systems Inc. Stocks are represented by the S&P 500 index. Bonds are represented by a composite of returns derived from yields on long-term government bonds, published by the Federal Reserve, and the Barclays Long-Term Government Bond index. Inflation is represented by the change in the Consumer Price Index. 3Diversification does not ensure against loss. 4These allocations are presented only as examples and are not intended as investment advice. Please consult a financial advisor if you have questions about these examples and how they relate to your own financial situation. 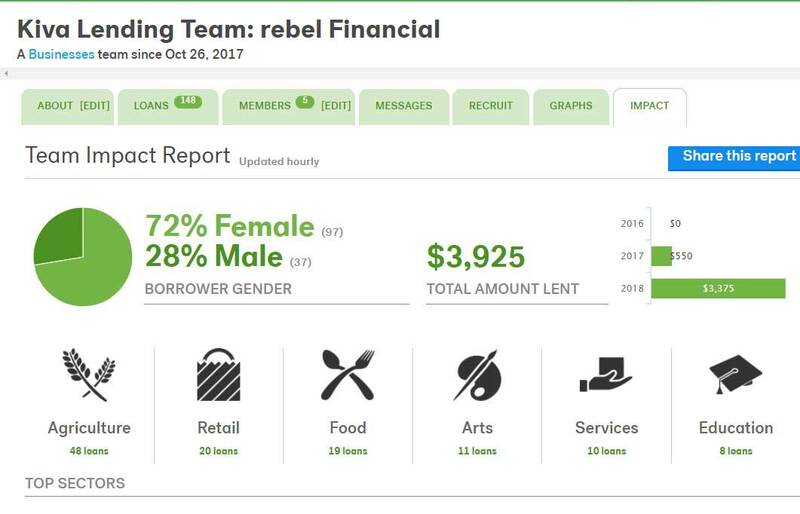 The investor profile is hypothetical.